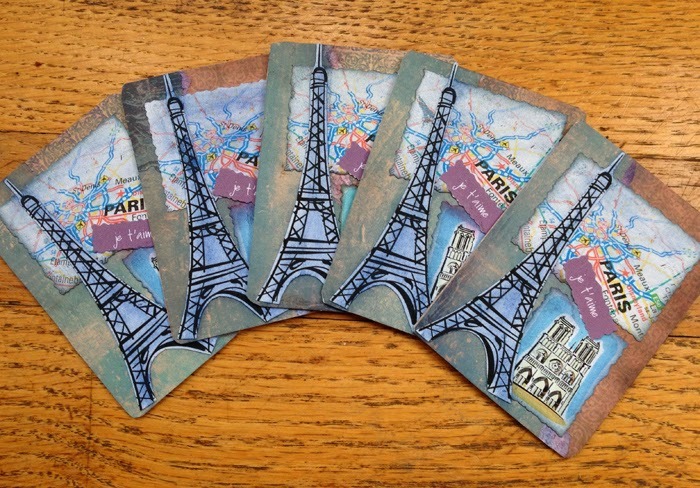 The theme for out Artist Trading Cards this time is Paris Days. The trading cards are 2.5" x 3.5" and we make 6 cards - one to keep and 5 to trade. 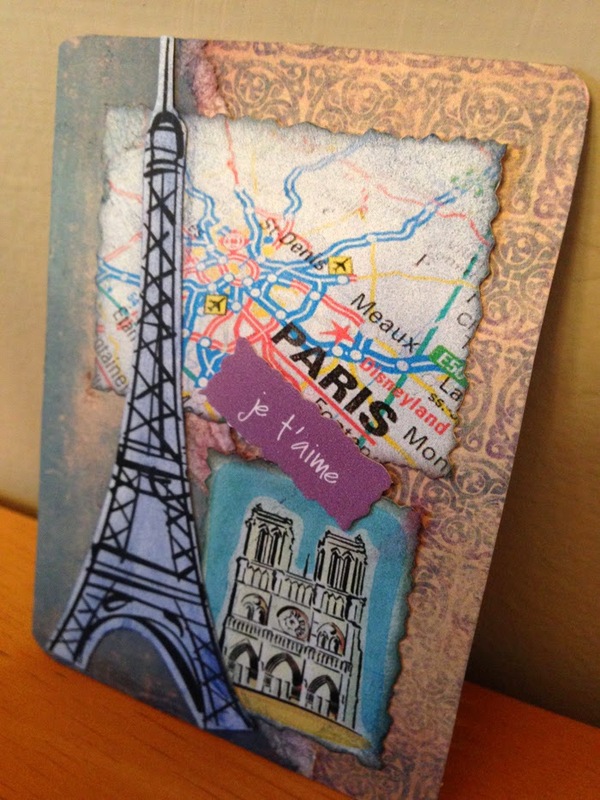 I chose to do a collage using textured paper for the background, a map of Paris and Paris landmarks layered on my card. Soft chalk pastel applied to the surface ties the color together.